It's a mean old world out there. The sorcerer upstairs conjures too loud; the guy down the hall drinks blood from a six-pack; that stiff you left in the alley is up and walking around. If you're lucky, the Guild will pay you for tonight's work; if your not, you're going home in a box. Your weapons on the world of Marl are magic and technology - but neither replaces a good head on your shoulders. And you'll have to work to keep it there. 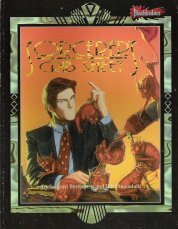 Bloodshadows requires the MasterBook rules set to play. In simplest terms, players using the MasterBook system roll two 10-sided dice to determine a bonus number on a chart. This is added to an appropriate statistic associated with the character, and then compared to a difficulty. Special cards can be used to enhance play." 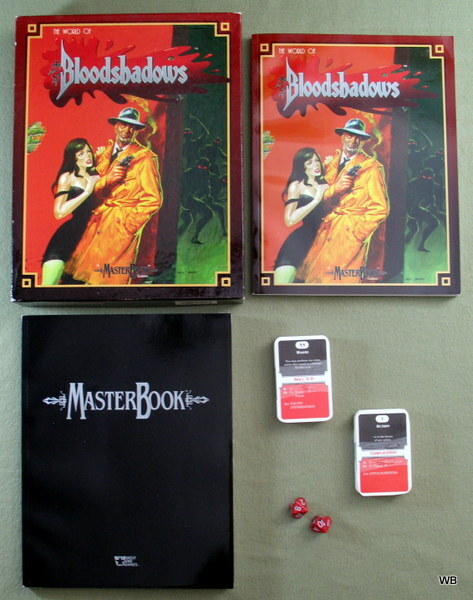 Contains: Bloodshadows rulebook, MasterBook rulebook, 2 decks of MasterDeck cards. "They're everywhere and nowhere. They're the shadows that come with sunset, and that funny feeling you get when you know someone's watching, but see nothing when you turn around. They're the things that hide from you -- and the things you bolt your door against. They're everything your mother warned you about. 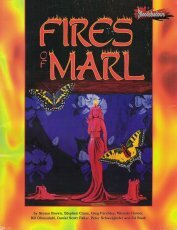 Meet the "monsters" of Marl, and learn a lesson in fear. Hear them tell you in their own words what is means to be other, and hear from experts on the deadly and the demonic. From the heart of the cities to the depths of the Wilderness, meet the Shifters, the Breeds, the Demons, the Undead and the things so alien no one knows just what to call them. Each entry includes stats and descriptions for these creatures, who can be the enemies of your characters -- or the unlives of the adventure party." 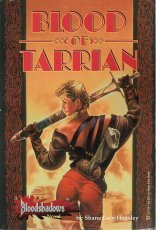 "Take a long trip through the Wilderness or a short trip through a gate, and you might end up in Albredura. You could do worse, you could do better. 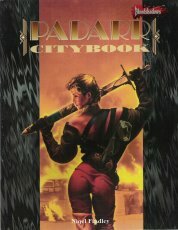 Albredura is a city of survivors and cynics, hard magic, and cold steel. Trying to turn a profit is tough in a town where breaking even might not even mean survival. 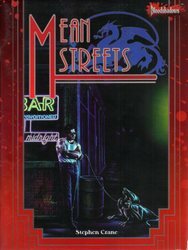 Mean Streets is a campaign supplement for Bloodshadows, the World of Fantasy Noir. 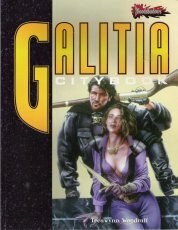 It contains details on the isolated city of Albredura, gamemastering tips for running Bloodshadows, a mini adventure, and reference sheets containing many of the necessary charts and tables found in the Bloodshadows Worldbook and MasterBook rulebook." 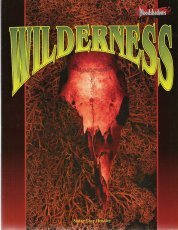 A Bloodshadows novel by Shane Lacy Hensley. 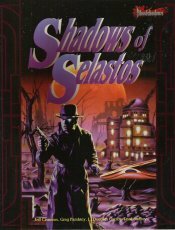 A Bloodshadows novel by Greg Farshtey. "Coming from behind the shielding door Harry saw the necromancer sitting there and gasped. It was as if Dragosani's eyes had exploded from within. Their centres were craters in his face, with threads of crimson gristle hanging down on to his hollow cheeks. Harry knew it was over then and the shock of it all caught up with him. Sickened, he turned away from Dragosani, saw his henchmen waiting. "Finish it," he told them. And they creakingly advanced on the stricken monster. Boris Dragosani was quite blind now, and so too the vampire within him, which had seen with his eyes. But immature though the creature was, still its alien senses were sufficiently developed to recognise the inexorable approach of black, permanent oblivion. It sensed the stake held in the mummied claw, knew that a rusted sword was even now raised high. Ruined shell that he was, Dragosani was no use to the vampire now. And evil spirit that it was, it came out of him as if exorcised! 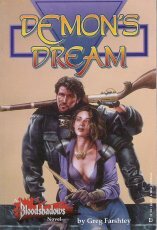 Dragosani stopped screaming, choked, clawed at his throat. 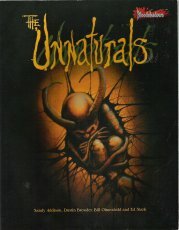 Froth and blood flew as his jaws opened impossibly wide and he began to shake his monstrous head frantically to and fro. His entire body was going into convulsions, beginning to vibrate as the pain within grew greater than that of ruptured eyes and broken bones. Any other must surely have died there and then, but Boris Dragosani was no other. But you are undaunted. You are not a mere human. You are talented. You are an ESPer, with powers undreamed of by your peers. You may be a telepath, a seer able to see into the future, a Shaman able to kill with a glance or perhaps able to talk to the teeming masses of the dead as a powerful Necroscope!" 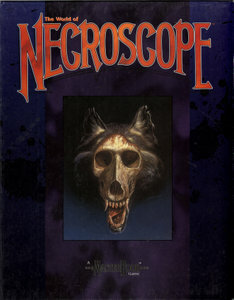 The box set includes the Necroscope rulebook, and also the MasterBook rulebook & card deck for that rule system.